As you have probably guessed, I absolutely love antiques, one of my favourite things to do is browse flea markets, and visit the most calming shop in Liverpool, 69a Intande - Home to a very beautiful ginger tom cat named Murdoch who is often found reclining on a brass lion. Finding unique treasures makes my heart full and even more so when my nearest and dearest see something and think of me. 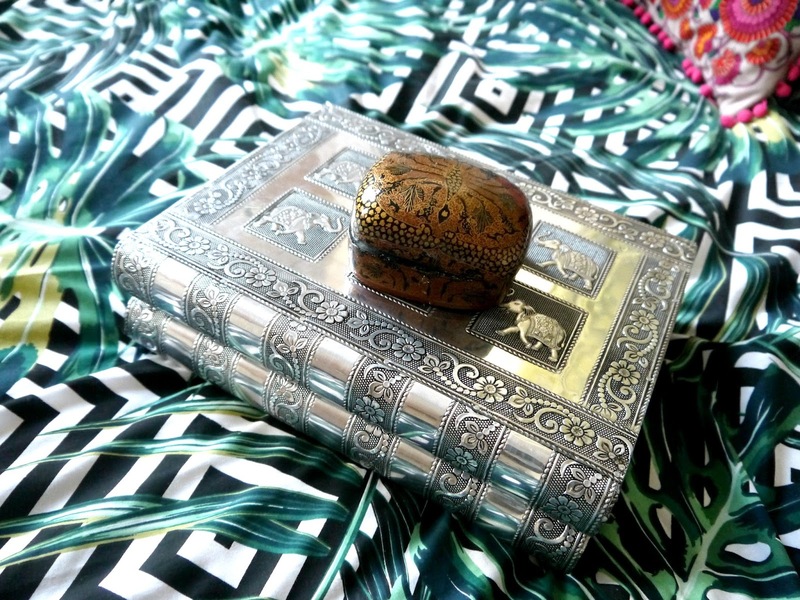 So when my parents gifted me this beautiful silver jewellery box for Christmas, I was delighted. 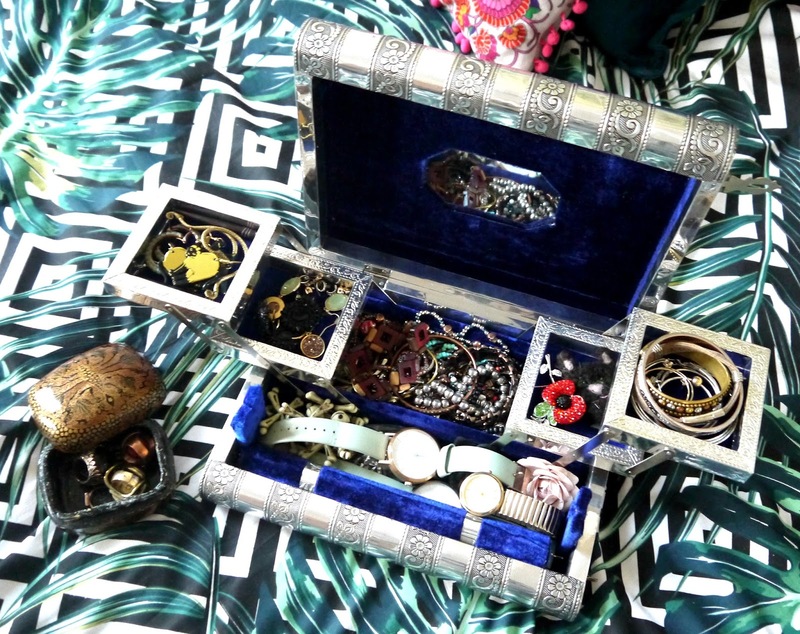 Not only did it give me an aesthetically pleasing place to store my prized jewellery, but it also looks absolutely beautiful. 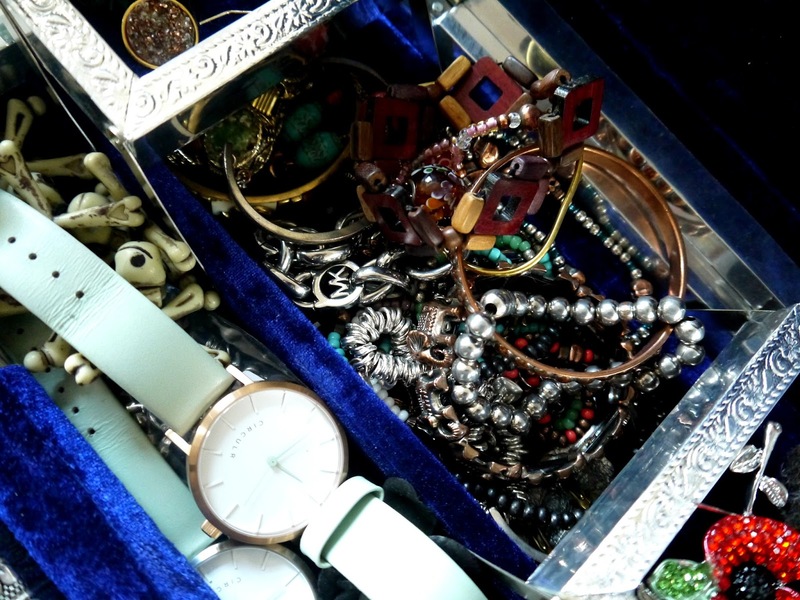 Lined with a beautiful sapphire blue velvet lining, I keep my bracelets, watches, brooches and earrings in the compartmental jewellery box. As you probably already know if it sparkles, has beads and is colourful this magpie will swoop it. As for the rest of my jewellery including necklaces and rings they live in various different places. 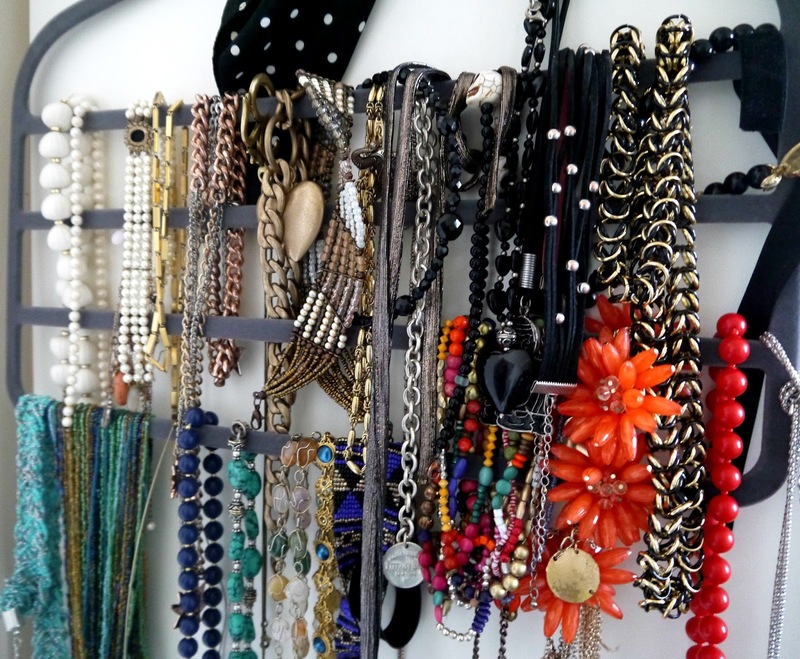 My necklaces (well, some of my costume collection) lives on a coat-hanger and is categorised into colours to help when I am styling up an outfit. 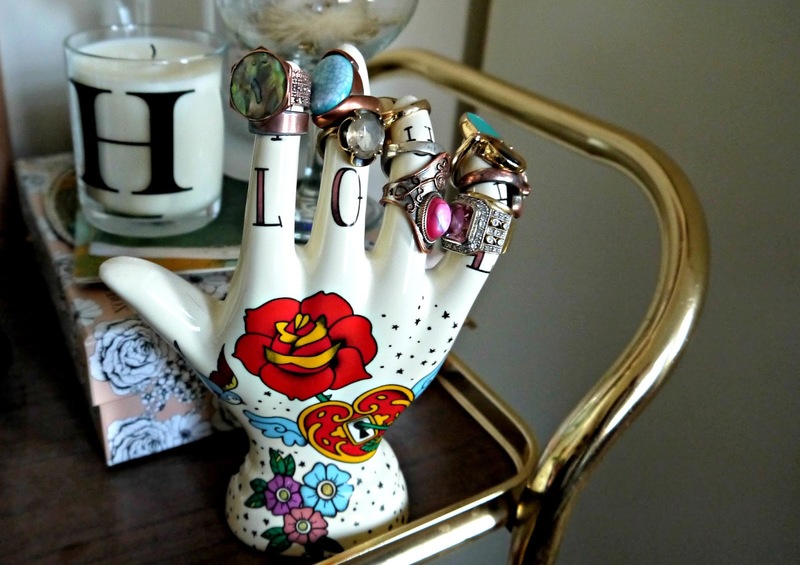 My rings live in other boxes such as a Pearl Lowe Glossybox and an antique box from the infamous snoopers in Brighton. And a few of the larger cocktail rings live on 'the hand' which is from Oklahoma in Manchester. Easy to grab and go, and when you wear as many pieces as I do, it's good to have everything to hand.